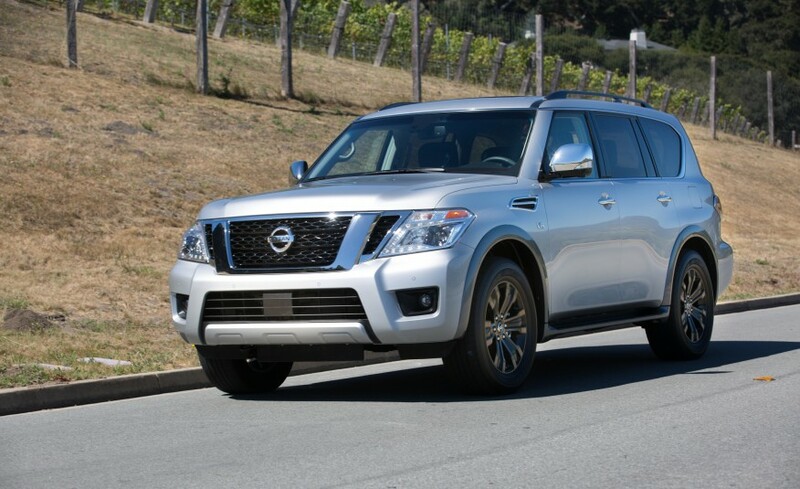 Welcome to Nissan Armada Forum, is this your first visit? Click the "Create Account" button now to join. With the introduction of the all-new second-generation Armada full-size SUV, the last piece of Nissan's transformation of its SUV and crossover lineup falls into place. As the largest and most powerful vehicle in the portfolio, Armada earns its flagship status through its performance, refinement, advanced technology and heritage. Unlike the original Armada, which was based on the Nissan Titan full-size pickup, the new-generation design traces back to one of Nissan's most beloved global vehicles, the Patrol. "The Nissan Patrol nameplate goes back to 1951 and its reputation as a global workhorse is unparalleled - whether as a frequent support vehicle to the United Nations' peacekeeping efforts or as a three-time class winner of the Paris-Dakar Rally," said Michael Bunce, vice president of Product Planning for Nissan North America. "While the new Armada is intended primarily for family adventures here in North America, Armada owners will benefit from its underpinnings as a strong, durable and authentic full-size SUV with ruggedness to spare." Key distinctions between the 2017 Armada and the previous generation include a fresh exterior design, enhanced performance from a new 390-horsepower 5.6-liter Endurance V8 and new 7-speed automatic transmission, a comfortable full-feature cabin and class-exclusive available safety and security features - including Predictive Forward Collision Warning, Blind Spot Intervention, Backup Collision Intervention and Around View Monitor with Moving Object Detection. The new Armada also continues the nameplate's reputation for value and choice, offering a range of three high-content grade levels - SV, SL and Platinum - in both 2-wheel and 4-wheel drive configurations. In addition, the 2017 Armada offers an exceptional array of standard features, including Nissan Navigation with NavTraffic and NavWeather information (SiriusXM subscription required, sold separately) and 8.0-inch color display, heated front seats and 13-speaker Bose audio system. Like the first-generation Armada, the 2017 model features rugged body-on-frame construction, providing a balance of strength, durability and utility - including the ability to tow up to 8,500 pounds with confidence (when properly equipped). "While most SUVs and crossovers have moved to a sedan-like unibody construction, when you want to tackle big adventures with big groups of family and friends, there's no substitute for a sturdy steel frame," explained Bunce. "We've found that families enter the full-size SUV segment before they fully need one. As their needs grow, Armada has more than enough room and strength to meet both current and future family demands." Read more on NWI Times. Nissan Armada Forum is the premier Nissan Armada community. We offer one of the largest collection of Nissan Armada related news, gallery and technical articles. Share your favorite Nissan Armada photos as well as engage in discussions with fellow Nissan Armada owners on our message board. NissanArmada.org remains independent and is not affiliated with, sponsored by, or endorsed by Nissan. All use of Nissan's trademarks, brands, and logos, including all Nissan marks displayed here, is purely referential, and such marks are the property of Nissan.